Granite is one of the best materials available today to meet the ever changing and sophisticated applications demanding coplanarity, perpendicularity, parallelism, flatness, and straightness. It is often chosen for its stability and high accuracies. With PRECISION GRANITE® you can depend on excellent quality, high accuracies, and quick delivery. See our price list for sizes and accuracies of our standard products which can usually ship in less than a week. Major credit cards accepted. Plates with ledges are for work clamping purposes only. PRECISION GRANITE® SURFACE PLATES are manufactured to meet or exceed the tolerances specified by ASME B89.3.7-2013 and Federal Specification GGG-P-463c. A PRECISION GRANITE® Calibration Certificate is included with every surface plate guaranteeing overall surface flatness and repeat gage measurements, and is traceable to N.I.S.T. 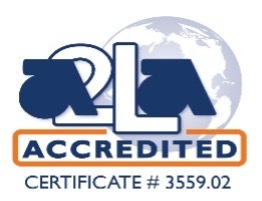 or equivalent National or International Organization, complies with, ANSI/NCSL Z540-1and ISO 10012 in accordance with our ISO 9001 certified quality system. Long-form certification is available. We are an accredited provider of 17025 Calibration Services. PRECISION GRANITE® plates are made of black granite which is stronger and denser than light colored granite, and more stable. The granite properties determine the stiffness of the granite so accuracies can be guaranteed with less thickness than other types of granite. This translates to less freight and handling whenever the plate is shipped or moved. The ASME B89.3.7-2013 and Fed. Spec. GGG-P-463c recommends three fixed points to support the surface plate and minimize sag and warp. PRECISION GRANITE® plates are marked on the bottom of the plate to coincide with the supports on the top of the stand. When aligned with each other they uphold the accuracy of the plate. PRECISION GRANITE® standard stands are manufactured to support the weight of the surface plate plus 50 pounds per square foot load. Stands are made for each plate to meet a 36” working height unless specified otherwise. Our Surface Plate Covers are made of vinyl; durable on the outside, soft on the inside. Penetrates the granite surface to loosen dirt, grime and residues. It leaves the surface clean, which cuts down wear on precision surfaces. Sold in pint size squeeze bottles. Standard clamp with 1" dia. x 10" high column, approx. 2½" throat clearance measured from column to center line of the indicator stem. Standard clamp accepts all lug back AGD indicators. Special clamp with 1.365" dia. x 10" high column, approx. 4.75" throat clearance measured from column to center line of indicator stem. Special clamp accepts stem drop indicators. Other column lengths available. Designed for maximum protection of granite accessories. Dust & water resistant. Custom interior. For maximum support for large plates, pedestal and leveling jack systems are an economical solution. The granite pedestals are custom made to meet the required working height. The adjustable wedge jack between the pedestal and plate is used for leveling. PRECISION GRANITE® manufactures single granite machine bases, air bearing surfaces or multiple component precision assemblies to meet industry needs. Our capabilities range from custom lettering and logos, critical testing and checking surfaces, to coplanarity on multiple planes.